Scott Cawthon has announced that Five Nights at Freddy’s 3 is finally out! Once again, Scott pulls through with a surprise release, dumbfounding those who had tried to come up with date predictions.  Out of consideration for those who haven’t played the game (it literally came out today), we will not be posting any more details about the gameplay, plot, and its twists. Five Nights at Freddy’s 3 can be purchased for $7.99 on Steam. Get ready for… whoever this guy is! 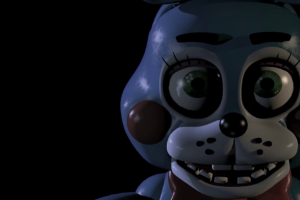 Scott Cawthon has released the trailer for Five Nights at Freddy’s 3. 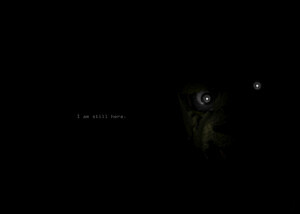 It features what appears to be a new character, contrary to popular assumption that it would star the Golden Freddy seen in the first and second game. Not pictured: the fan has also made a reappearance. The story takes place thirty years after the closing of Freddy Fazbear’s Pizza. A haunted house-style attraction based off of the pizzeria’s gruesome history has opened up, determined to recreate the experience for patrons. 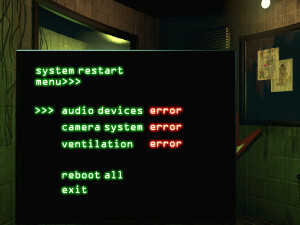 The new building that the game takes place in is a linear haunted house, with a single entrance and exit. 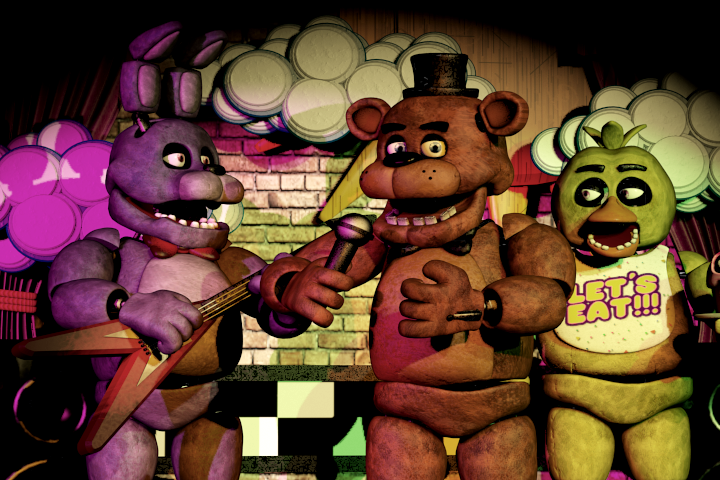 The interior is full of the Freddy Fazbear’s Pizza animatronics, both the decrepit originals and their scrapped redesigns. Although the original animatronics are only hollow shells of their original states, the owners of the attraction have made a shocking discovery: they’ve found a working animatronic. Even killer animatronics remember to floss! 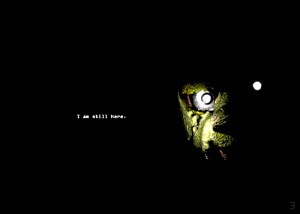 Currently, there is no confirmation on if the old animatronics will actually reappear as more than just background cameos. 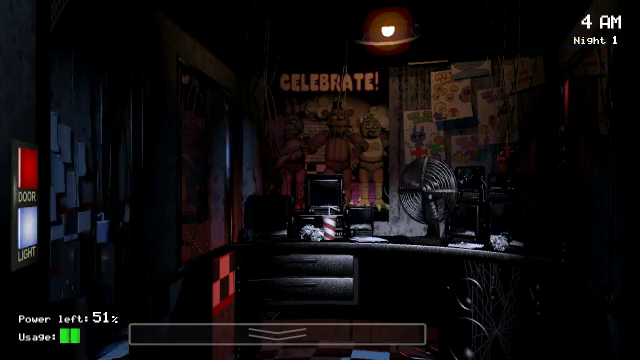 All current evidence states that the animatronic featured in the trailer and screenshots is the only functioning one. Finally tackling the “foul odor” claims. 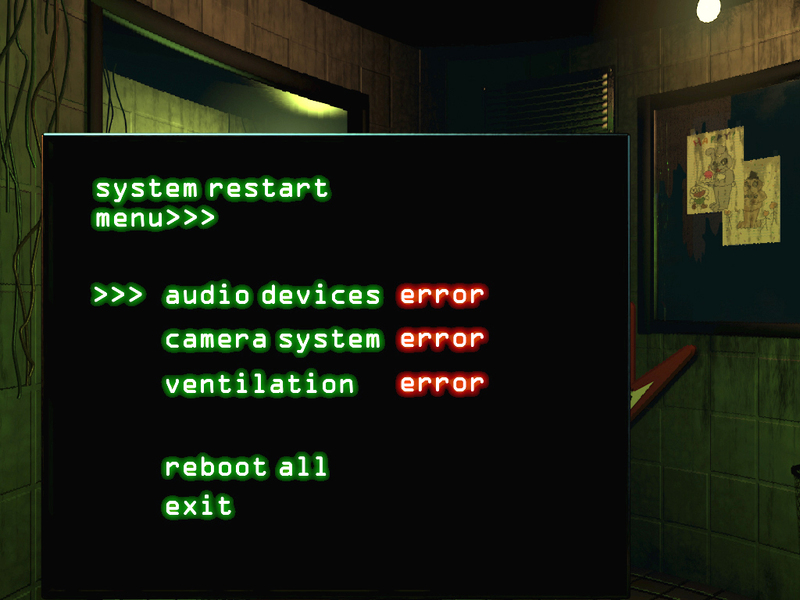 The Steam Greenlight page is full of screenshots revealing new gameplay elements, such as a monitor that displays a “system restart menu” that appears to control audio, camera, and ventilation systems. The graphics and animation look to have once again been vastly improved from the previous games. Scott Cawthon has confirmed that the game still has a ways to go before it’s finished. It’s best not to assume that any rumored dates are true. 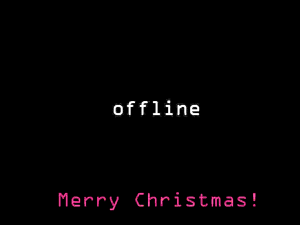 Scott Cawthon seems to have held true to his teasing: hot on the tail of the New Year, he’s updated his website again. 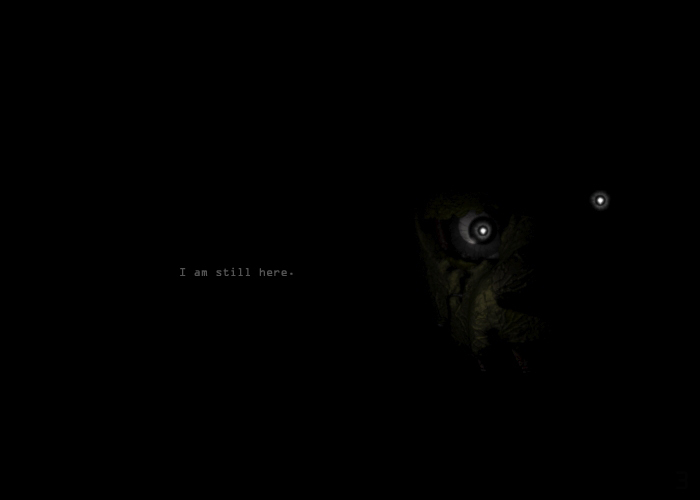 With an image of what appears to be Golden Freddy, the text “I am still here”, a small 3 in the corner that only appears if you brighten the image, the filename “fnaf3.jpg”, and meta tags stating “I remain” (presumably a reference to the previous tags, which stated “only one remains”), it’s not hard to see where this is going. This is great news, but it’s important to remember to not harass Scott Cawthon himself over the new game. He’s a busy man with a family, and just because he made Five Nights at Freddy’s 2 in such a short amount of time doesn’t mean he can do it again. If he does, it’ll be a great surprise, but it’s not something we’re entitled to. In yet another surprising and somewhat baffling move from Scott Cawthon, ScottGames.com has been updating over the last few days in ways that aren’t immediately visible or apparent. There was a long lull in updates, wherein the fandom exploded with speculation: would this be another Five Nights at Freddy’s, or a new sequel to one of his older and less successful games? Would it be something new entirely? 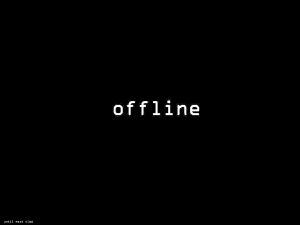 Was it even anything of note, or was it legitimately just Scott taking a break? 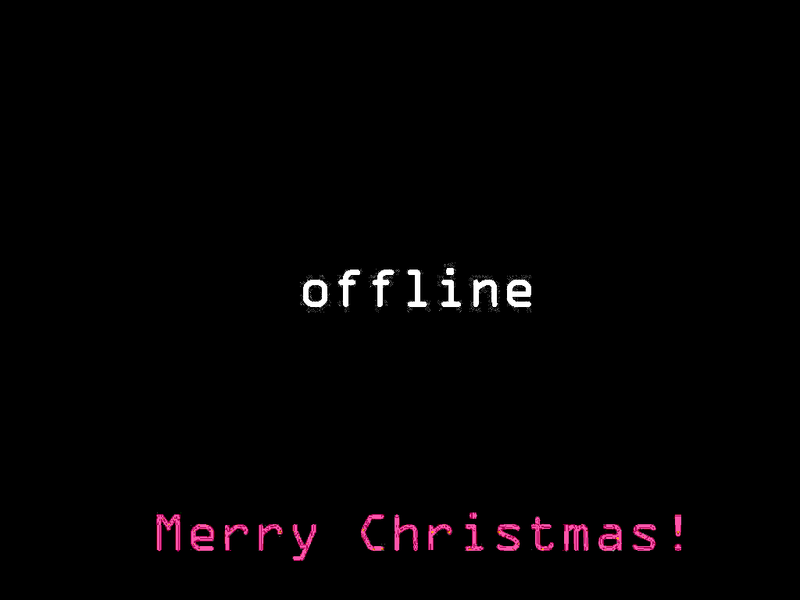 On December 6, the site finally got updated again. 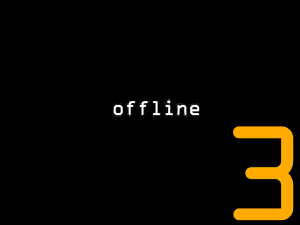 The offline image had been changed to display a large “3” in a corner, which was once again only visible if you brightened the image. In the page source, the meta tags had been changed to the words “five, nights, at, freddys, 30 years later, only one”. We can’t know for certain if this really does confirm a Five Nights at Freddy’s 3, and we certainly can’t get too excited for the prospect of finding a Freddy Fazbear under our tree. But knowing Scott’s track record so far, we can look forward to quick and timely answers to our questions. 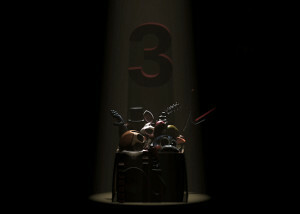 To the surprise of many, Scott Cawthon has released Five Nights at Freddy’s 2, the sequel to the beloved indie horror hit of Fall 2014. Although a demo was slated to be released on November 11, 2014, the full game has made an unexpected premature appearance. It can be purchased on Steam for $7.99. The demo is still being released, for those interested in trying the game before they buy it. You will be able to download it from Indie DB. The demo will be two nights long, and some Let’s Players on YouTube have received extended versions, lasting for three full nights. For those unfamiliar with the original game, Five Nights at Freddy’s was a point-and-click survival horror game developed by indie developer Scott Cawthon. It was released on the digital distribution service Desura on August 8, 2014, and two weeks later got greenlit for a Steam release. The gameplay is simple enough: you’re hired as a night watch security guard for Freddy Fazbear’s Pizza (a pastiche of family entertainment centers such as Chuck E. Cheese’s). You’re given security cameras to watch, which run off of a limited battery supply – if your battery runs out, the power in the pizzeria will shut down. Intruders and burglars aren’t your main worry, though; instead, you have to focus on the malfunctioning animatronics, which roam the restaurant at night. There are five levels in the game, each one corresponding to a night of work. Your shift lasts from midnight to 6:00 AM, which is heavily sped up, amounting to about 9 minutes of real-time gameplay (5 minutes for the mobile port). The story, however, is more complex than it seems at first glance, which is part of what has gained the game such a large following. The game starts with you receiving a call from a previous employee, who instructs you on the gameplay mechanics, and warns you very ominiously that your job comes with a tangible risk of death. His explanation is that if the animatronics see you, they will mistake you for an animatronic without its costume on, and they will try to shove you into a Freddy Fazbear suit full of crossbeams and electronic devices. However, the further you delve into the game, the more mysteries arise about the true nature of the pizzeria. 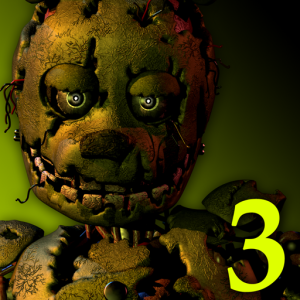 The open-ended questions and unsolved secrets has left players wanting more, and Scott delivers in the form of Five Nights at Freddy’s 2. This horror-packed sequel takes place after the closure of the pizzeria of the first game. 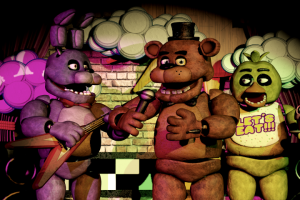 An unknown amount of time has passed, and a new Freddy Fazbear’s Pizza has opened in a new location, with new and improved animatronics, and new child safety features. Even the guard you play as is a new character! The gameplay at its core is very similar, involving watching over the animatronics and making sure that they don’t get you. There are a few gameplay changes, however. Perhaps the most controversial is the lack of closable doors, which makes hiding a much more intense experience. 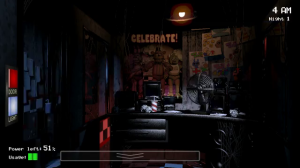 On the subject of hiding, this time around, you’re given a Freddy Fazbear mask to wear in order to convince the animatronics that you’re one of them. You’ll need it, because in addition to the new animatronics, the old cast comes back, and they’re still insistent on stuffing you in a suit. The redesigned cast looks gorgeous, with all of the character designs paralleling the real changes that have been made to family entertainment centers to make them more kid-friendly. They’re sleeker, brighter, and generally less worn-looking overall. If we didn’t know any better, they could almost be described as friendly-looking! 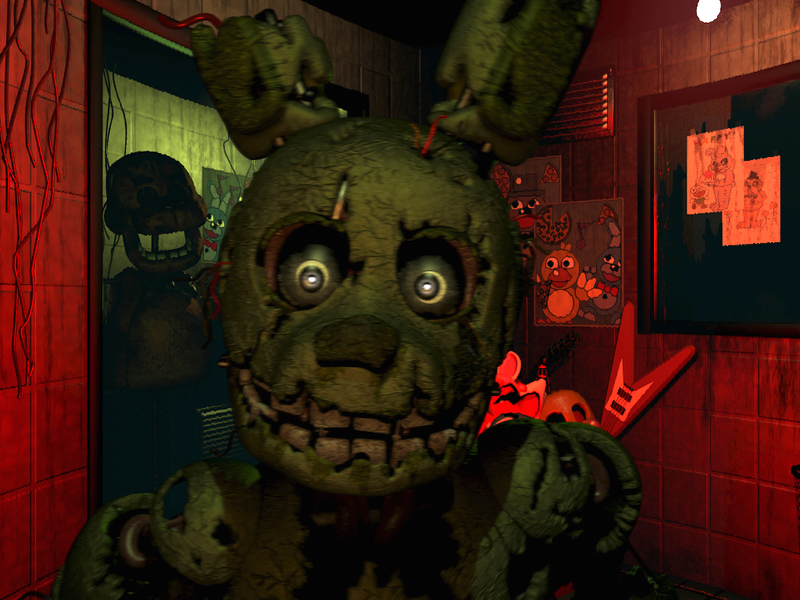 Though that’s the most prominent change made, there should be props given to Scott for the work done on revamping the designs for the old animatronics. The apparently higher budget has allowed for the broken-down robots to be much more frightening-looking, with more detailed texture work and more complicated models. 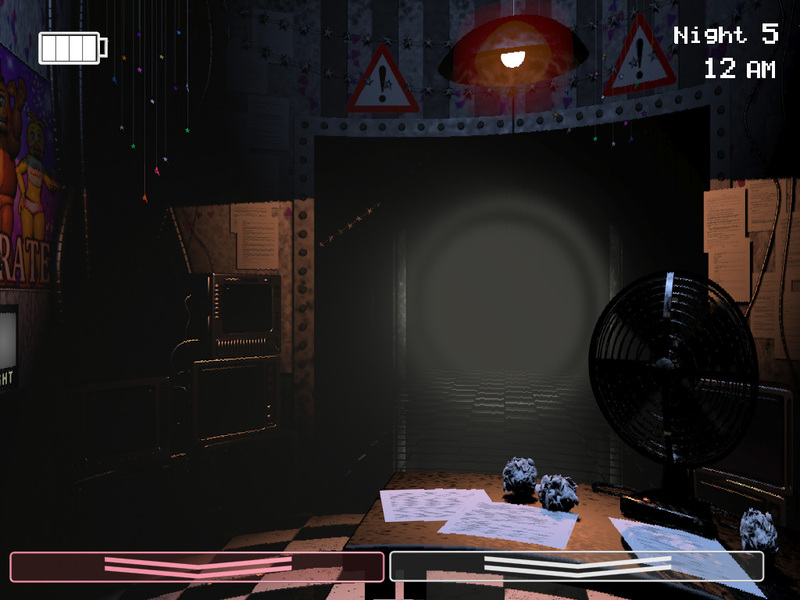 The game has received a massive graphical overhaul overall, with a greater focus on detail, including animated rooms, characters appearing in the same room simultaneously, and more sophisticated lighting. The story still has plenty of mysteries to be found. We’ve already discovered a great amount of new content, but we don’t want to spoil it for you! Markiplier and Dlive are just a few of the YouTube community members working on Let’s Plays of the game. If you want to check out the game yourself, there’s plenty of places to watch it being played online, and the demo will be released in a few days. But if you can, please consider paying the $7.99 for Scott’s brand new game – it’s worth it!